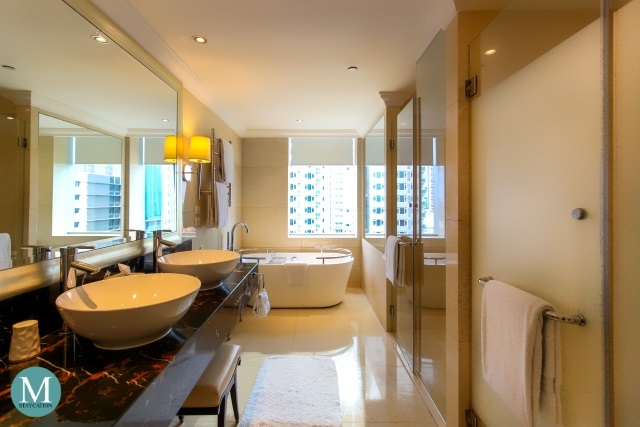 The Junior Suite is the lead-in suite category of Raffles Makati, the lowest among the three suite categories of the hotel. 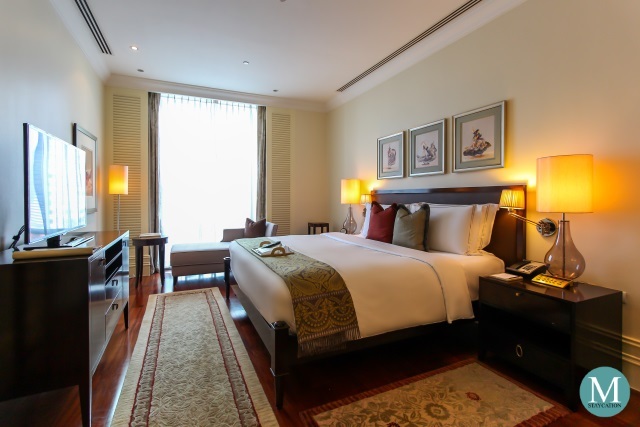 We spent our first staycation at Raffles Makati in a Junior Suite back in December 2015. 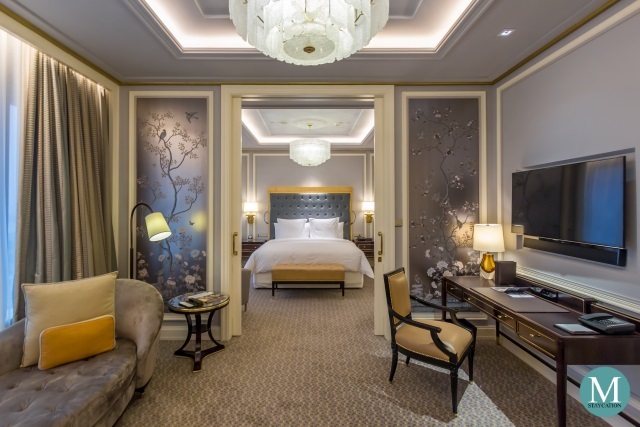 Measuring 60sqm, the suite features an intimate foyer with a seating area and a dining area, a generously spacious bedroom, and a marble spa bathroom. 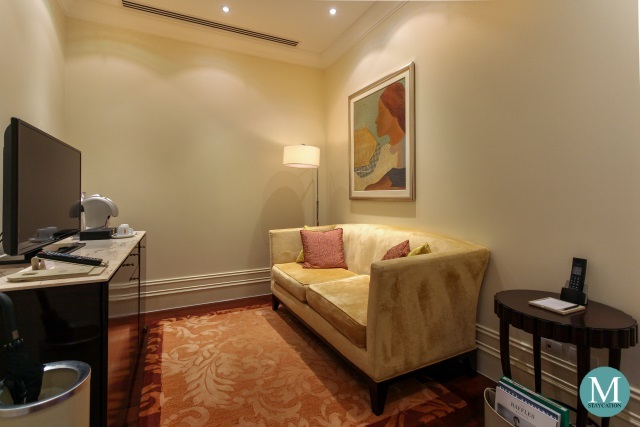 From the hotel's lobby, we were assisted by the concierge to our Junior Suite located on the 9th floor. On the 9th floor, we were welcomed by one of the butlers and quickly assisted us with our bags. 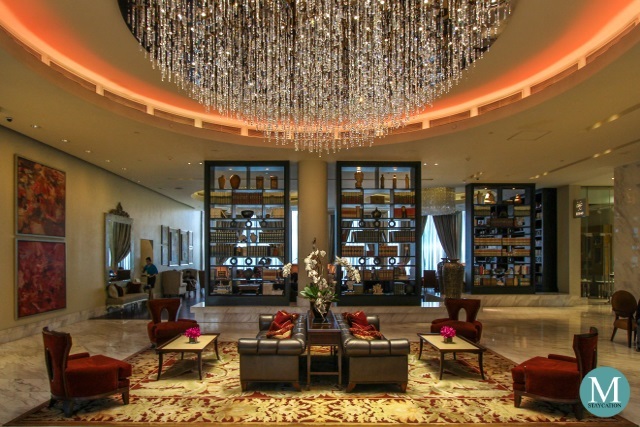 Upon entry to our suite, the concierge invited me to the dining table where we completed our check-in. 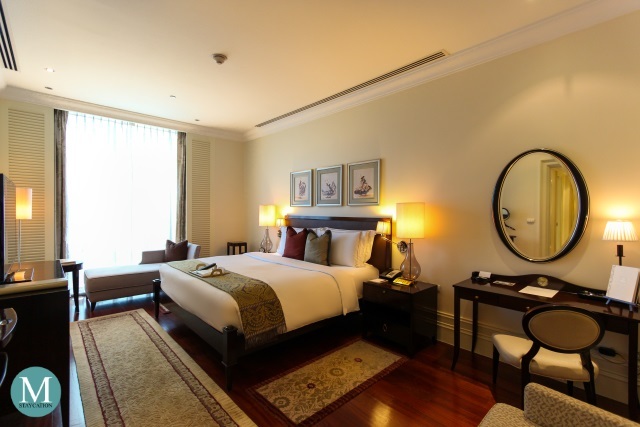 He also briefed us through the complimentary benefits we can enjoy while staying at Raffles Makati. The room was already pre cooled for our arrival which made is easier to settle to our room. 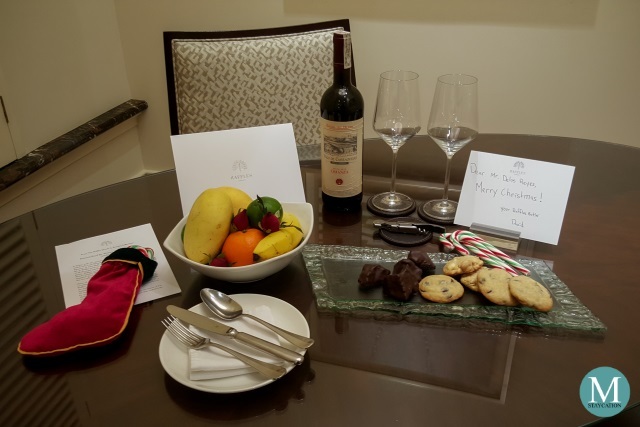 Part of the welcome amenities are fresh fruits, a bottle of wine, cookies and a Christmas stocking filled with candies. After completing our check-in, the butler took over from the concierge and immediately gave us a quick tour of our suite, showing every feature of the en suite amenities. The living area for example features a high definition LED television with satellite channels. Next to the television is a Malongo coffee machine. 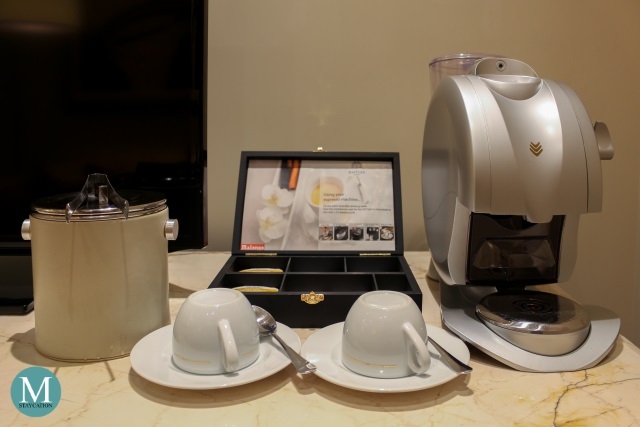 I told the butler that I love the smell of freshly brewed coffee inside the room, and he quickly offered to brew a cup of coffee for me. I watched him attentively so I can brew my own coffee anytime I feel like having one. 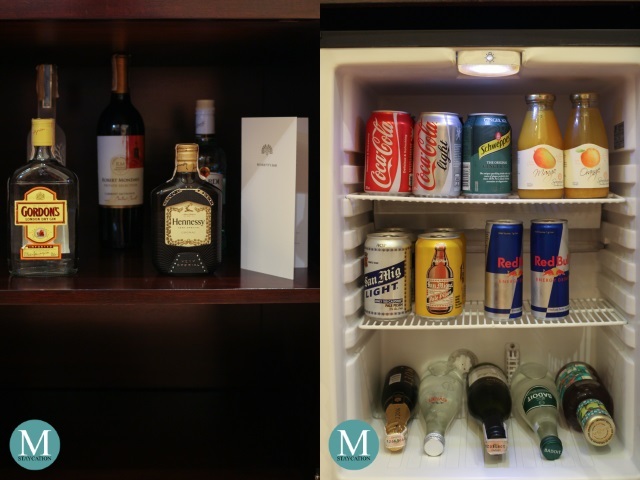 The cabinet under the television stores the mini bar and the refrigerator which includes a good selection of premium liquors, canned soda and beer, and bottled juice. From the parlour, we made our way to the bedroom. It features high ceiling with floor-to-ceiling windows which allow plenty of sunlight into the room. 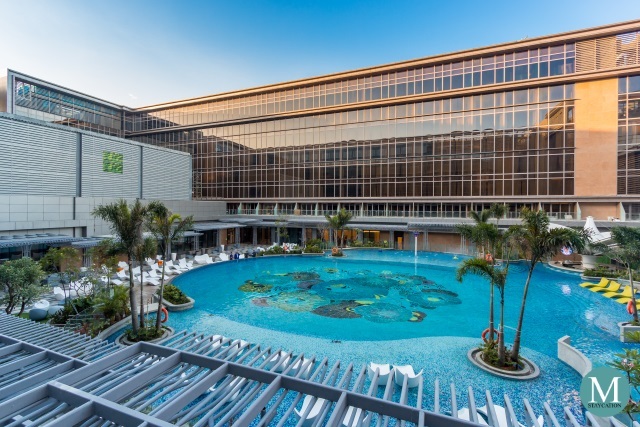 The room however is well air-conditioned and it remained comfortably cool inside. There is a comfortable seating area next to the window ideal for reading a book or a magazine. The Junior Suite is available in a king-bed or twin bed configuration featuring feather topped mattresses covered with 1,200 threadcount cotton linens. While plush pillows are already provided, guests are also welcome to choose from the pillow menu in case they prefer memory foam or a hypoallergenic fiber pillow. 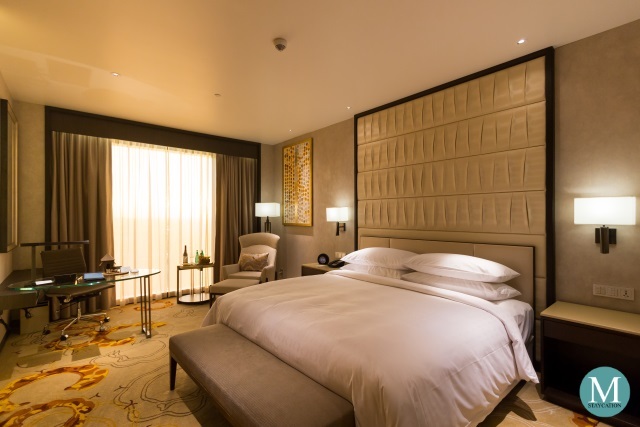 Room lighting can be conveniently adjusted through the control panel placed next to the bed. 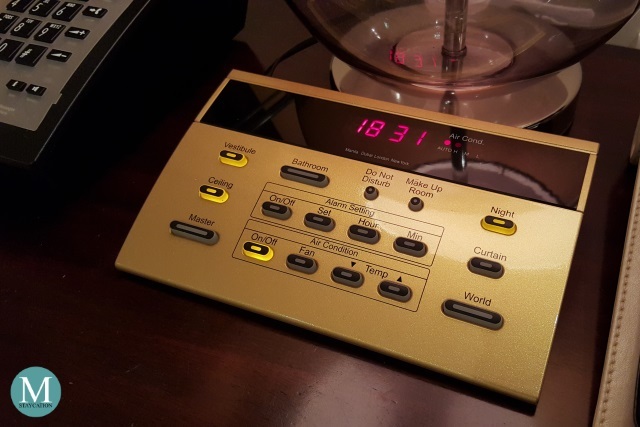 The bedroom also has its own entertainment system which includes a high definition LED television with satellite channnels, a theater sound system and a DVD player. There's a spacious working desk and complimentary highspeed wifi internet connection is available throughout the room. 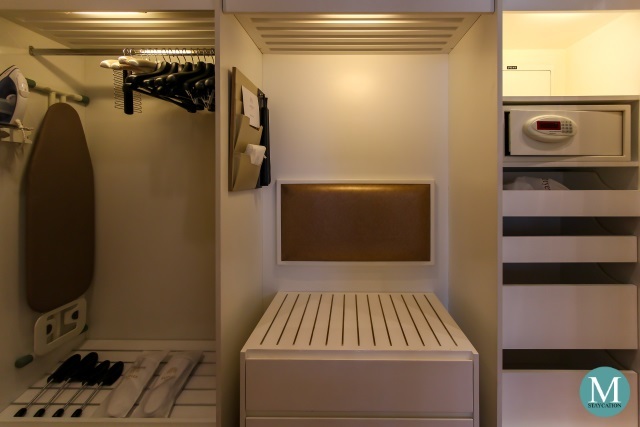 Attached to the bedroom is the walk-in closet that leads to the bathroom. The closet has a spacious wardrobe with wooden coat hangers. Also stored inside the wardrobe are the iron and the ironing board. There's also an electronic safe big enough to fit a 13" laptop. 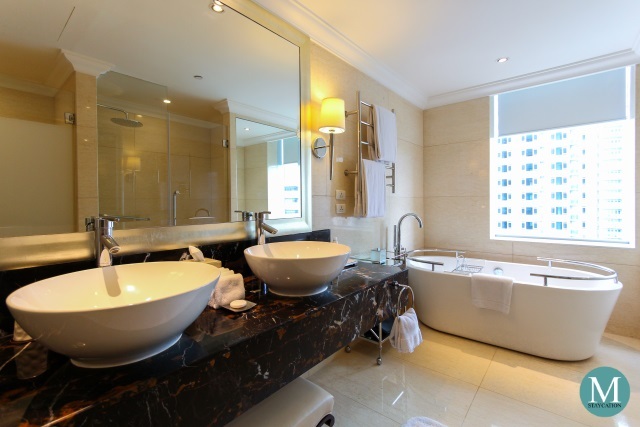 The bathroom is luxuriously spacious for two persons to comfortably move around. The floor and walls are clad in fine marbles to give it a spa bathroom feel. Double basin allows two guests to use the wash area at the same time. There's ample space to place personal toiletries. At the far end of the bathroom is the deep soaking bathtub. Bath salt is provided for a more enjoyable bath experience. There's also separate lavatory and walk-in shower. The toilet is installed with a bidet while the shower is fitted with a rainfall and a handheld showerheads. Raffles-branded toiletries are provided in generous containers. 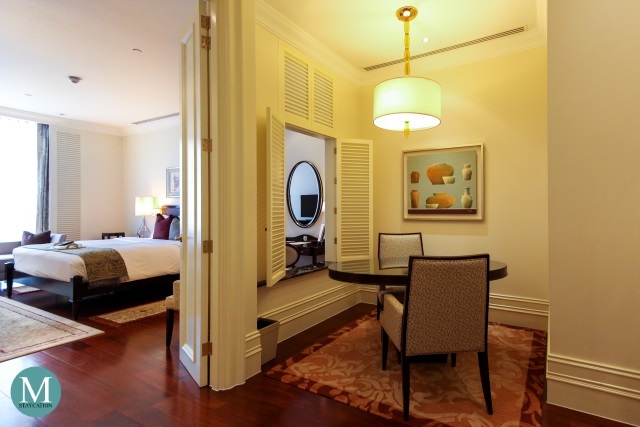 The Junior Suite at the Raffles Makati has instantly become one of our favorite suites in the metro which we recommend for solo travelers or couples looking for a spacious yet intimate setting for relaxation . It may be on the expensive end for staycations, but it was totally worth its price.